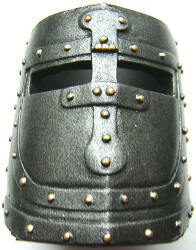 Click here to see some great pens for your Knights Templar Helmut pen cup. 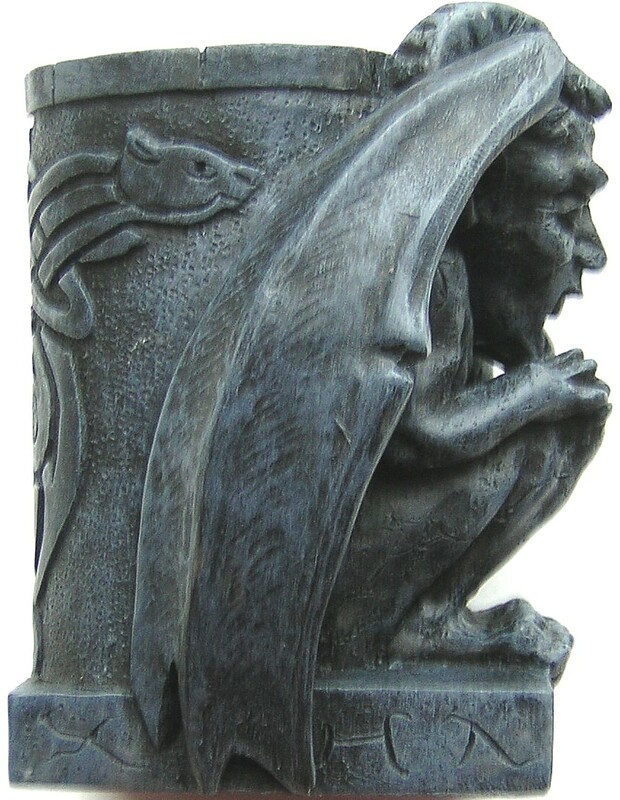 On a desk or credenza, there’s no one more worthy of holding your favorite writing implements than this crouching gargoyle sculpture! 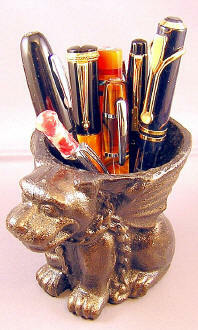 Cast in quality designer resin, it's finished in faux ancient stone (pens sold separately, below). 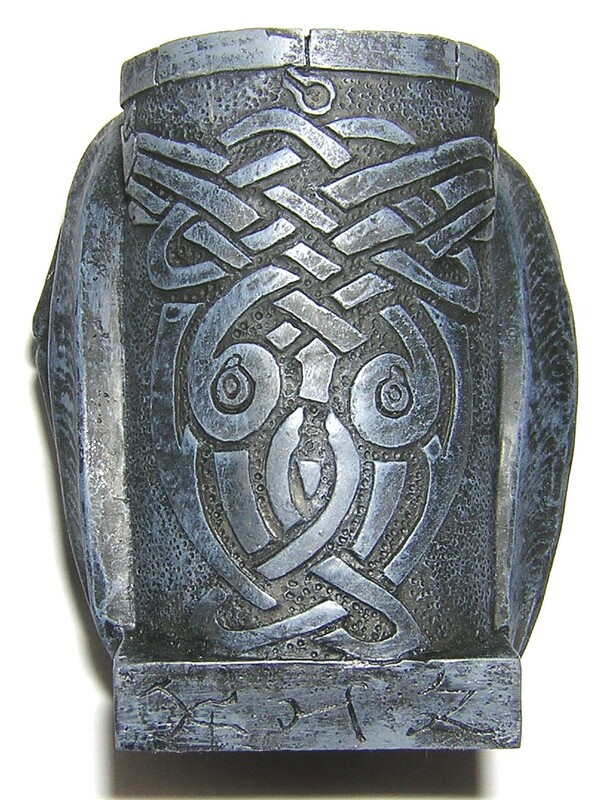 It weighs 1 lb. 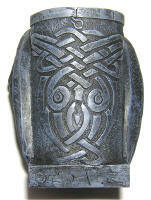 by itself, so will rest solidly upon your desk. 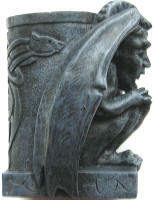 Click here to see some great pens for your Gargoyle pen chalice. 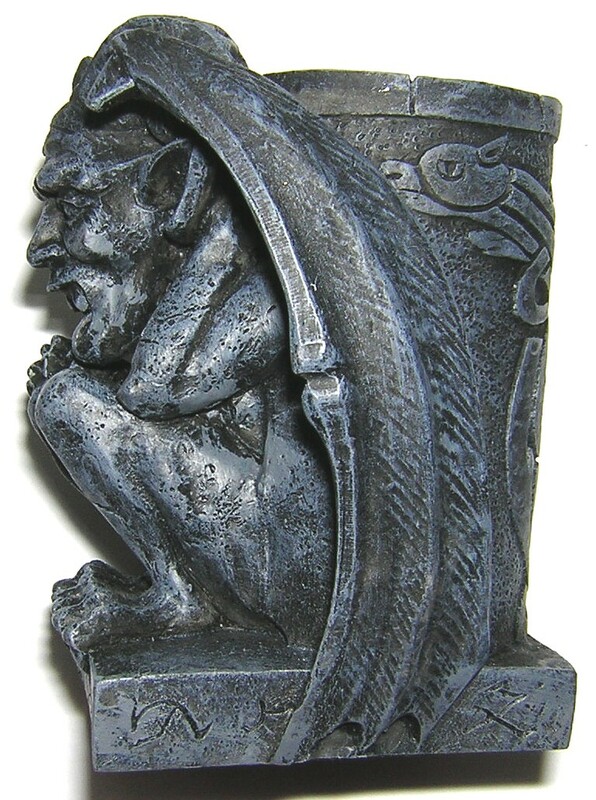 This chained medieval gargoyle is even more certain to remain where you place him. 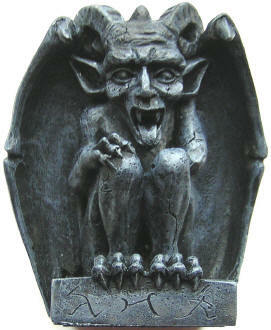 Not only is he shackled, but he's cast in foundry iron, and weighs in at a very respectable 2 lbs! He's 3-1/2" high and 4-3/4" from snout to rear of the cup. 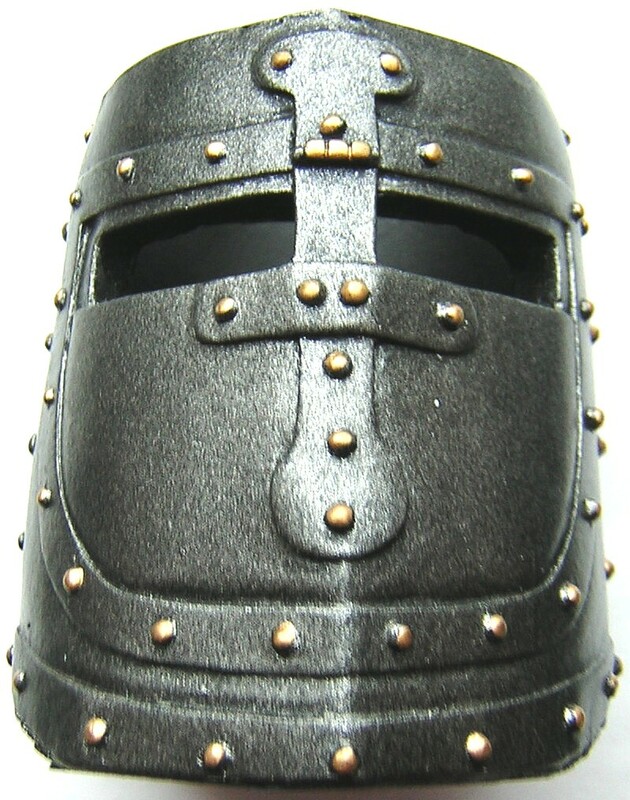 He'll guard your pens when you're away, and eats very little. He's actually a bit darker bronze color, but I lightened him a bit to bring out the details of his ferocious mien. Click here to see some equally ferocious pens!